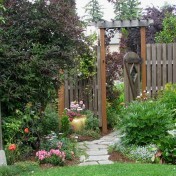 Ann's Gardens Archives - Ann Nickerson Landscape Design, Inc. Throughout the past twenty years as a designer, I have created three gardens of my own. 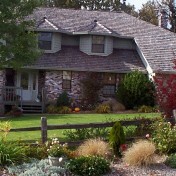 The first was a one-acre country garden designed in the Northwest Natural Style. The second was a cottage garden festooned with flowering shrubs and perennials. 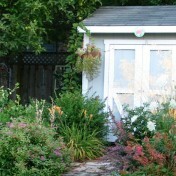 My present garden is seven smaller garden rooms which take you from America to England and onto Italy via garden styles. "It has been a pleasure to work with Ann and she really knows her stuff! I don't have a large landscaping area, but in a few quick visits she was able to give me excellent advice about placement and shared many creative options. Her advice has been worth far more than her fee! She is very flexible and knowledgeable. I would highly recommend Ann for any job, large or small! I live in a small subdivision and don't have a lot of time, so well worth it to get advice and save in the long run. In my small lot I was able to grow a plentiful garden of veggies and herbs because of her advice!"